Members of the Opposition asked the government if they have alternative for those who have resigned to contest in the Thromde elections. 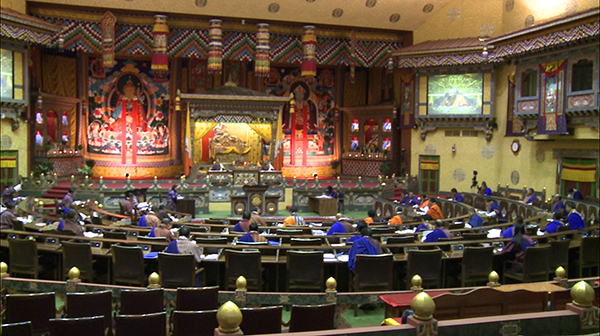 After the Supreme Court’s writ, issued in August, Thromde elections for 16 dzongkhags have been deferred. The writ had said there was a contradiction between the Local Government Act and the Constitution. Otherwise, the elections of the 16 Thromdes were to be held on September 27 along with Samdrup Jongkhar. Now, it is not known when the elections for 16 Thromdes will be held. South Thimphu MP Yeshey-Zimba said the Supreme Court’s writ had created anxiety among people. By then many had resigned to take part in the Thromde elections. The works and human settlement minister, Dorji Choden said while they appreciate the sacrifices made by those who resigned to participate in democracy, no one forced them to resign. Lyonpo said since democracy is new in the country, there are bound to be hiccups. Foreign minister, Damcho Dorji said the Constitution states, excluding the Thrompon, there should be a minimum of seven Thromde Thuemis in the Thromde Tshogdey.